There is a real possibility that Singapore may one day lose its rich hawker heritage if the next generation of Singaporean hawkers do not replace our current veterans. Minister for the Environment and Water Resources Vivian Balakrishnan acknowledged this at the inaugural Partners Forum on Monday which was attended by about 200 participants from schools, non-governmental organisations and businesses. Participants were invited at what is likely to be annual affair to talk about ways to build a sustainable and gracious Singapore. 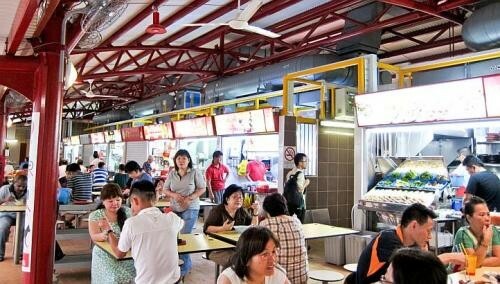 "It's easy to build (new hawker) centres," he said. "But the key challenge is to find enough Singaporeans who'd be willing to enter this profession, which is a difficult, challenging one." Dr Balakrishnan added that the other key challenge was to persuade veteran hawkers to pass on their trade knowledge and know-how to by teaching interested younger hawkers. Suggestions from participants included according star hawkers the same accolades and status given to top chefs.